TORONTO and SANTO DOMINGO, Dominican Republic, March 1, 2019 /PRNewswire-HISPANIC PR WIRE/ – Scotiabank announced today that it has successfully completed the acquisition of 97.44% of Banco Dominicano del Progreso (BDP), after receiving regulatory approval by the Superintendency of Banks and the Monetary Board of the Central Bank of the Dominican Republic. “We are excited to have completed this transaction that is fueled by the strategy of gaining greater scale in economically stable markets with prospects for growth, and allows us to expand and strengthen our operations in the country. We are building a leaner, more modern digital bank, to continue improving our customers’ experience with enhanced financial services and products” said Gonzalo Parral, CEO, Scotiabank Dominican Republic. With the closing of this acquisition, Scotiabank doubles its customer base and strengthens its fourth-place position in terms of assets in full-service banking and its third-place ranking in the credit card segment in the Dominican Republic, with a 17% share of the market. The acquired Banco Dominicano del Progreso operations include 57 branches, 184 ABMs and more than 160 banking sub-agents, which serve more than 250,000 personal and commercial banking customers. For further information on the integration stage, please visit www.scotiabank.com.do and www.progreso.com.do. Scotiabank is Canada’s international bank and a leading financial services provider in the Americas. We are dedicated to helping our more than 25 million customers become better off through a broad range of advice, products and services, including personal and commercial banking, wealth management and private banking, corporate and investment banking, and capital markets. With a team of more than 98,000 employees¹ and assets of over $1 trillion (as at January 31, 2019), Scotiabank trades on the Toronto Stock Exchange (TSX: BNS) and New York Stock Exchange (NYSE: BNS). For more information, please visit www.scotiabank.com and follow us on Twitter @ScotiabankViews. ¹Employees are reported on a full-time equivalent basis. PROVIDENCIALES, Turks & Caicos Islands, Dec. 11, 2014 /PRNewswire/ – interCaribbean Airways is pleased to announce the commencement of new non-stop services to and from Kingston, Jamaica and Santo Domingo, Dominican Republic to Port au Prince, Haiti . interCaribbean Airways begins scheduled services on December 13th 2014, between Kingston Normal Manley International Airport and Port au Prince, Haiti, and also Port au Prince to Santo Domingo International Airport. With high hopes for this service, the business and leisure traveler will be able to enjoy this new service in just an hour of travel time. In concert with the mission of the Ministry of Tourism, and Minister Stephanie Villedrouin to increase flights and build Haiti as a leisure destination, these new services will extend the travel options for the visitors to neighboring islands as an easy means to travel to Haiti and extend their vacation stays. Seats are on sale, and bookable immediately at interCaribbean.com or calling our call centers and visiting our airport locations. Customers may also visit their preferred travel agency. Said Trevor Sadler CEO of interCaribbean Airways, we are pleased to offer these new routes to give the more choices and more connectivity across the Caribbean and support Haiti as it grows its appeal to the vacation visitor, while facilitating new business opportunities. We look forward to increasing the frequency and number of destinations we serve in the new year. SAN JUAN, Puerto Rico, April 17 , 2014 /PRNewswire/ – Seaborne Airlines, the fastest growing airline in the Caribbean, is pleased to announce that its non-stop daily service from Luis Munoz Marin International Airport in San Juan (SJU) to Las Americas International Airport in Santo Domingo, Dominican Republic (SDQ) started on April 15th, 2014. Now business or pleasure travel to Dominican Republic is a breeze with the launch of this new route. Santo Domingo is Seaborne’s fourth destination within the Dominican Republic, the others being La Romana, started in December, 2013; Punta Cana began in February 14, 2014 and Santiago launched in March 15th, 2014. Fares start as low as $99 one way taxes and fees included. Flights can be reserved via SeaborneAirlines.com, Expedia, Travelocity or through your local travel agency. With service to 18 airports throughout the Caribbean; connecting service to American, Jet Blue and Delta at San Juan, Puerto Rico; two pilots on every flight; a flight attendant on our new Saab 340 aircraft and the outstanding dependability, Seaborne is becoming known for the Seaborne Travel Account that offers the greatest value in air service in the Caribbean. Just recently, Seaborne announced that they will provide customers with a $200 gift certificate for each $1,000 added to their travel account. SANTO DOMINGO, Dominican Republic, January 22, 2014 /PRNewswire-HISPANIC PR WIRE/ – The Dominican Republic is becoming one of the fastest-growing economies in the Caribbean and Latin America, reaping the rewards of policies facilitating more open trade and experiencing great levels of international investment. Within its dynamic and developing economy, the Dominican telecom industry is thriving and becoming one of the best-served telecommunications platforms in the Caribbean. Among numerous industry investments currently in the spotlight, the World Bank is supporting the roll-out of a national fibre-optic network and European private-equity firm Altice Group is finalising its acquisition of Orange Dominicana and Tricom Group, reflecting the growing interest in this market. In light of this international recognition, globally respected telecoms media brand Capacity Media have selected the Dominican Republic as the host island for the most important C-level event for the Caribbean telecoms community. Taking place on the 4 & 5 February 2014 in Santo Domingo, the event serves as the annual meeting place for telecom ministers, regulatory bodies and local and international executives, providing a platform for the industry to discuss critical challenges, opportunities and mechanisms for encouraging development and growth. High-profile speakers this year include Paul Scott, President of Columbus Networks who will deliver the opening keynote and address the company’s recent acquisitions and strategy for the future. He will be followed by leading regulatory figures including Jean-Marie Guillaume, Director General of Conatel Haiti, Chris Seecheran, CEO of TATT and Spencer Thomas, Chairman of NTRC Grenada who will unite for a regulatory roundtable aimed at discussing strategies to align regulatory policy with accelerated regional development. For more information on Capacity Caribbean 2014 (4 & 5 February 2014) please contact Katie Anderson, Senior Conference Producer at katie.anderson@capacitymedia.com or call +44-(0)20-7779-7290. CaribPR Wire, Dominican Republic, Santo Domingo, Aug 5, 2011: Following three years of intensive preparation and planning, the first newly rebranded show – DESIGN CARIBBEAN – is a mere 25 days away from officially opening in the Hotel El Embajador, Santo Domingo, Dominican Republic. Design Caribbean is a trade show for artisans in the region who are export ready and able to produce uniquely designed, hand crafted, superior quality merchandise. We have had great response from buyers in the region as well as international interest in attending this show. The timing of this show is perfect for retail buyers and hotel gift shop buyers looking to ensure they can offer a fabulous Caribbean gift selection for holiday shoppers. “We are very excited about Design Caribbean – there is an outstanding line-up of very talented artisans displaying at this year’s show. Buyers are going to be very pleased with the quality and uniqueness of the selection,” said Pamela Coke-Hamilton, Executive Director of Caribbean Export. Buyers can expect to see diverse products including ceramics, jewellery, fashion accessories, home furnishings, specialty foods and leather goods. A number of cash awards and incentives will be given in each category. For more information, please visit www.designcaribbean.com or www.facebook.com/DesignCaribbean. The city of Santo Domingo, Dominican Republic, was selected as the location to host the first newly-branded Design Caribbean show because it boasts a large population of 10 million people, with four million residing in the city centre of Santo Domingo, where the trade fair will be held. Encapsulating the spirit of design to “celebrate the ‘beautiful” our event takes place in Santo Domingo, Dominican Republic from Sept. 1-4, 2011. Showcasing a broad product range of handmade quality products, it will connect artisans to buyers, and design enthusiasts from the Caribbean region, North America and Europe. Design Caribbean visitors will come away with a true sense of the diversity and splendor that breathes vibrancy into the Caribbean region. CaribPR Wire, BRIDGETOWN, Barbados, Fri. July 1, 2011: Caribbean Export is in the final throws of producing, Design Caribbean, a trade show, that will highlight the region’s natural ability, energy and flair. After extensive evaluation, Caribbean Export is pleased and excited to announce that it has chosen the artisans who will be displaying their handcrafted and unique products from September 1-4, 2011, in Santo Domingo, Dominican Republic. Exhibitors taking part in the show will have the opportunity to be selected as an award winner. The International Trade Centre has sponsored the Design Awards for Design Caribbean. All exhibitors have passed through a screening process to ensure superior product and quality is displayed at the trade fair. From these selected exhibitors, a design panel will reward the best design according to form, functional and emotional aspects of the product. Three winners will be selected from all of the represented sectors and each category winner will be given a certificate and trophy. All of the products have to reflect the exuberant nature and ability of the Caribbean people as the exhibitors seek to appeal to boutique owners looking for that something special to inspire and capture the imagination. Overall prize winners will then be selected from the category winners and announced on the last day of the Design Caribbean show. The first prize winner will receive $5,500 U.S dollars; second prize $3,500 U.S dollars and third place a cheque for $2,000 U.S dollars. 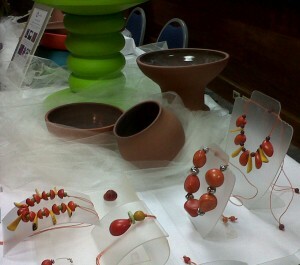 Alongside the cash prizes the winners will also receive a free booth at Design Caribbean 2012. Caribbean Export will also promote the winner through business networking, marketing and communication initiatives to a wider range of buyers for their existing products. The competition is sponsored by the ITC, International Trade Centre. Buyers attending this will see products from a range of sectors including ceramics, jewellery, fashion accessories, home furnishings, specialty foods and leather goods that are synonymous with the beauty and richness of the Caribbean will be on display from artists inspired by their stunning island surroundings, culture and history. Taking place in the Dominican Republic’s capital Santo Domingo, Design Caribbean will be conveniently located at Hotel El Embajador, an impressive indoor and outdoor location, ideal for a trade show as it allows exhibitors the room to display their products and attendees the space to walk around and enjoy the beautiful design. Retail and hotel buyers looking for outstanding handcrafted, passionately made, one-of-a-kind quality products should be sure not to miss Design Caribbean, come celebrate the beautiful, September 1 – 4, 2011 in Santo Domingo, Dominion Republic. Register at www.designcaribbean.com. 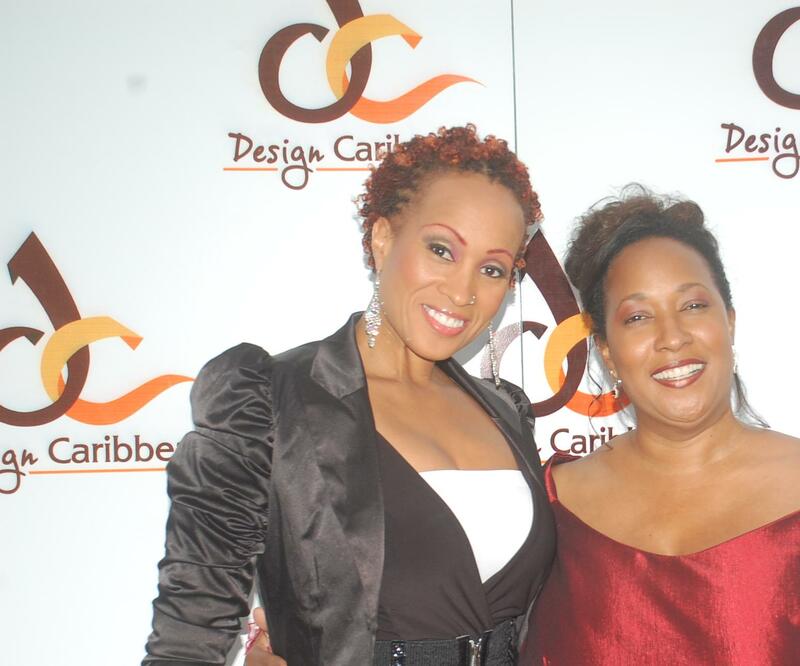 CaribPR Wire, Dominican Republic, Santo Domingo, May 16, 2011: Following three years of intensive preparation and planning, the first newly branded show – DESIGN CARIBBEAN – is now officially launched in Dominican Republic. Design Caribbean is a trade show (to be held in Dominican Republic September 1–4) for artisans in the region who are export ready and able to produce uniquely designed, hand crafted superior quality merchandise. In honour of the launch, His Excellency, Domingo Jimenez, Secretary of State and National Authorizing Officer for the EDF, Director General for Mutilateral Cooperation gave an inspiring speech welcoming the trade show and its artisans to a wealth of global opportunities. As well, musical artists Shaggy and Alison Hinds endorsed the show and its benefits for regional artisans. They treated the audience to a sensational concert. “We are very excited about Design Caribbean – a key part of the broader effort to help artisans, designers and other talented people of the region to access the international marketplace,” said Pamela Coke-Hamilton, Executive Director of Caribbean Export. All artisans engaged in art and design in the Caribbean region are eligible to participate in the Design Caribbean trade show. Over the past few months, many hopeful participants have undergone a screening procedure to ensure that the ‘best of the best’ artisans get to take part. The city of Santo Domingo, Dominican Republic, was selected as the first location to host the first newly-branded Design Caribbean show because it boasts a large population of 10 million people, with four million residing in the city centre of Santo Domingo, where the trade fair will be held. Design Caribbean 2011 is sponsored by ITC – International Trade Commission, European Union, FedEx, Abordage and American Airlines. Inspired by the passion and talent of both distinguished and aspiring artists, Design Caribbean brings the region’s finest handmade designs and innovative products onto the world stage. Encapsulating the spirit of design to ‘celebrate the beautiful’ our event takes place in Santo Domingo, Dominican Republic from Sept. 1-4, 2011. Showcasing a broad product range of handmade quality products, it will connect artists to buyers, and design enthusiasts from the Caribbean region, North America and Europe. Design Caribbean visitors will come away with a true sense of the diversity and splendour that breathes vibrancy into the Caribbean region. 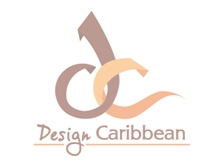 Design Caribbean is organized by Caribbean Export, a trade and promotion organization with 15 state regions, whose mandate is to ‘take Caribbean excellence to the world’. BETHESDA, Md., April 27, 2011 /PRNewswire/ — International Game Technology, a global leader in creating the major games that players love and the systems that improve the player experience, announced today it has entered into an exclusive agreement with Caribbean CAGE LLC (CAGE), a video lottery terminal (VLT) and gaming terminal operator in Latin America and the Caribbean, to supply several thousand video lottery terminals in licensed bancas (Bancas de Apuestas Depotivas) in the Dominican Republic and to connect those gaming terminals to the IGT Casinolink® gaming management solution system. ”IGT’s technology will expand our capability by offering enjoyable games for consumers and players, as well as additional sustainable annual revenues for specific needs of many of the countries in Latin America and the Caribbean, such as health care, education and sports,” said Bob Washington, chairman and CEO of CAGE. “We at CAGE could not be more excited about our newly formed relationship with IGT and its commitment to deliver unique gaming solutions to our markets. The opportunity to partner with IGT in the Dominican Republic will provide us with the tools and the systems to monitor and ensure compliance with existing laws relating to video lottery terminals/slots in licensed bancas in the Dominican Republic,” he concluded. IGT will begin by delivering several hundred VLTs in the spring of 2011, and will continue shipping additional units to the Dominican Republic on a monthly basis. A large percentage of the games IGT will supply to CAGE will be part of the Game King® 6.0 Multi-Game suite, featuring the industry’s top blackjack, poker and video slot themes. This multi-game suite offers 46 poker selections, 13 video slot titles, 9 keno games and blackjack. Additional games being provided to the Dominican Republic include player favorites such as Coyote Moon®, Cats, Kitty Glitter®, Da Vinci Diamonds® and Pharaoh’s Gold®. In addition to the VLTs, IGT Casinolink® will be used by CAGE to centrally monitor the bancas operations. IGT Casinolink® has the capability to connect the management of video lottery terminals, slot machines, table games, account-based wagering, marketing and casino cashier services into one comprehensive system. The system’s extensive reporting capabilities allow for better planning and operational decisions in addition to increased control, accountability and monitoring of casino cashier operations. This scalable solution can be used in single and multi-site casino properties. IGT Casinolink® meets Gaming Standards Association (GSA) compliance protocols, which gives operators the ability to respond to ever-changing business and market needs. About The RLJ Companies: The RLJ Companies, founded by Robert L. Johnson, is an innovative business network that provides strategic investments in a diverse portfolio of companies. The RLJ Companies seeks to target undiscovered or underserved markets then exercise solid management to achieve results. Within The RLJ Companies portfolio, Johnson owns or holds interests in businesses operating in hotel real estate investment; private equity; financial services; asset management; insurance services; automobile dealerships; sports and entertainment; and video lottery terminal (VLT) gaming. The RLJ Companies is headquartered in Bethesda, MD, with affiliate operations in Charlotte, NC; Little Rock, AR; Los Angeles, CA; San Juan, PR; and Monrovia, Liberia. Prior to founding The RLJ Companies, Johnson was founder and chairman of Black Entertainment Television (BET). For additional information please visit: www.rljcompanies.com. About Caribbean CAGE LLC: Caribbean CAGE LLC (An RLJ Companies Majority-Owned Company) is a U.S. Virgin Islands–based company that manages, develops, operates and distributes video lottery terminals in a number of countries and territories throughout the Caribbean and Latin America. CAGE is owned by RLJ Gaming LLC, RBW Gaming LLC and Cage HR LLC (Hard Rock). The Company was founded by Robert L. Johnson and Robert B. Washington, and is majority-owned by Johnson, who is the founder and chairman of The RLJ Companies and Black Entertainment Television (BET). Within The RLJ Companies portfolio, Johnson owns or holds interests in businesses operating in hotel real estate investment, private equity, consumer financial services, asset management, insurance services, automobile dealerships, sports and entertainment, and video lottery terminal (VLT) gaming. As a local-focused gaming business, CAGE installs and maintains VLTs at gaming sites such as restaurants, bars, lounges, liquor stores, convenience stores and other venues. More information about CAGE is available at www.caribbeancage.com. About IGT: International Game Technology (NYSE: IGT) is a global leader in the design, development and manufacture of gaming machines and systems products, as well as online and mobile gaming solutions for regulated markets. More information about IGT is available at www.IGT.com. SANTO DOMINGO, Dominican Republic, Oct. 25 /PRNewswire/ — The Dominican Republic (DR) located in the heart of the Caribbean, is the center for all things cruise this week as the DR Ministry of Tourism welcomes the Florida Caribbean Cruise Association (FCCA) conference in Santo Domingo Oct. 25-29. The Caribbean’s leading tourism destination, the DR will welcome the cruise industry’s best and brightest executives, marketers and government leaders to share their vision to accommodate the ever-increasing demand to cruise to DR ports during workshops, meetings and trade shows in the historic capital city. “Santo Domingo’s world-class port and modern cruise terminals have a privileged geographic location at the city’s marine entrance on the Ozama River, just steps away from the ancient Colonial City. The Port of Santo Domingo is also the gateway to our vast country with over 1,000 miles of coastline,” said DR Minister of Tourism, Francisco Javier Garcia. “The DR’s location at the center of the Caribbean is very well-suited for flexible itinerary planning and easy transfers throughout the country,” he added. ”Santo Domingo offers so much to cruise lines and passengers. Dominicans express their unique ancestry through their music, food, art, architecture and friendly hospitality. FCCA delegates and visitors alike will discover much expression of Dominican culture in Santo Domingo,” added Garcia. With cruise tourism to the DR increasing each year, the Dominican government has a long term strategy that includes new ports and reinvesting in existing ports to ensure more cruise lines and passenger demand for the unique Dominican experience in the decades to come. In 2009, 500,000 cruise ship passengers visited the Sans Souci and Don Diego Terminals in Santo Domingo, the Port of La Romana on the Southeast Coast; and the Samana Peninsula on the Northeast Coast. During their exploration of the DR, passengers and crew from over 400 ships spent a total of $80 million dollars in 2009. The DR Ministry of Tourism expects a five percent jump in cruise ship arrivals for 2010 due to the increasing awareness of the DR as a unique destination engaging visitors in vibrant Dominican culture, arts, history, music and gastronomy. The Dominican Republic (DR) is closer than you think with fourteen international and national airports, three major seaports and world-class marinas making travel to the Caribbean’s second largest island a breeze. Rich in history and culture, today the DR has developed into a sophisticated destination offering both Dominican and European flavors to over 3.9 million visitors each year. Named #1 Golf Destination in Caribbean & Latin America by the International Association of Golf Tour Operators, the DR boasts 25 designer golf courses, upscale resorts, pristine nature, and sophisticated cities and quaint villages filled with warm Dominican people. The DR features the best beaches, fascinating history and culture, and is a chosen escape for celebrities, couples and families alike. Visit the DR Ministry of Tourism’s official website: www.GoDominicanRepublic.com. Caption: Deutsche Post DHL, the world’s leading mail and logistics services group, has moved its main DRT outpost from Haiti to the Las Americas International Airport in Santo Domingo, Dominican Republic. The team continues to unload humanitarian aid flights daily totaling over 100 tons of relief goods per day including cases of water and medical supplies. — Is managing a 3000 sq. meter warehouse for other non-government organizations (NGOs) to store and sort incoming aid. — Has flown five forklifts into Santo Domingo from Caracas, Venezuela to help transfer air goods from aircraft pallets to container trucks bound for Haiti. — Is stressing the importance that all cargo flights have pre-arranged onward transportation from the Dominican Republic into Haiti as warehouse capabilities are extremely limited and all ground transportation needs to be escorted. DHL DRT is proud of its partnership with the United Nations Office for the Coordination of Humanitarian Affairs (UNOCHA) in the area of Disaster Management and will continue the strong collaboration to support humanitarian efforts in Haiti.